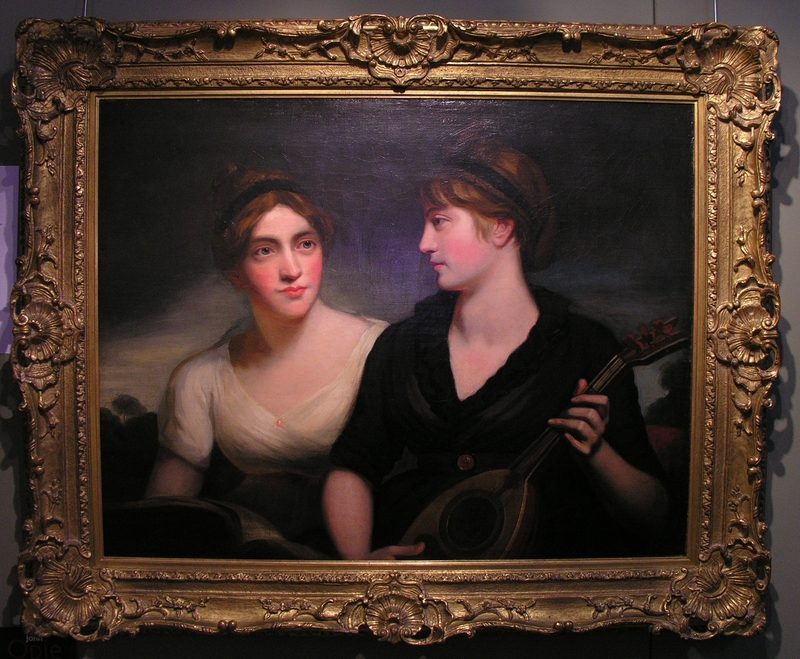 A campaign has been launched to raise funds to acquire for Norwich Castle Museum an exceptional portrait of Amelia Opie, which was painted by her husband the Royal Academician John Opie. The museum already owns several Opie portraits, most notably that of John Crome, one of the founders of the Norwich School of Artists. When he married Amelia, John Opie, from Cornwall, was already one of the leading portraitists of the day. He had settled in London in 1781, where he had been launched at the age of 20 as ’the Cornish Wonder’. Marriage to the sociable and gregarious Amelia brought Opie many commissions for portraits from well-connected families in Norwich and Norfolk. Opie did nine portraits of Amelia. 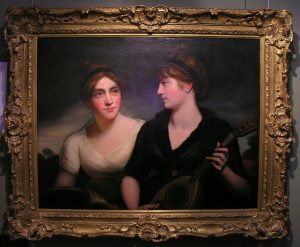 The double portrait which the campaigners hope to acquire for Norwich shows Amelia full face and in profile. It was painted in the early months of their marriage – one of two by Opie, who routinely painted two versions of a portrait, according to Viv Hendra, author of The Cornish Wonder: A Portrait of John Opie. The second double portrait of Amelia, which is an a very poor condition, is owned by the National Trust at Trerice in Cornwall. The portrait has been valued at £15,000, but the seller, who is keen for it to be acquired for Norwich Castle Museum, has offered it for a special price. The campaigners are hoping to raise £10,500 for its acquisition. The Friends of the Norwich Museums have kindly agreed to handle donations made towards the funds needed to acquire the Opie double portrait.. Donors should make their cheques out to: The Friends of the Norwich Museums, with a covering note indicating that the sum is ‘a restricted donation’ to assist with the purchase of the double portrait of Amelia Opie.. Cheques should be sent to The Treasurer, The Friends of the Norwich Museums, c/o The Shirehall, Market Avenue. Norwich, NR1 2JQ. Donations can be gift aided if required. For details of how you can also donate funds via electronic transfer, call the The Friends of the Norwich Museums on 01508 578353. Double portrait of Amelia Opie by her husband John Opie. As Amelia was an accomplished musician and had a fine singing voice, it is significant that Opie portrayed her holding a musical instrument. Opinions differ as to whether it is meant to be a guitar or lute. Twenty years after this portrait was painted Amelia acquired a harp lute and took lessons on playing it. CLICK HERE TO READ THE ‘CAMPAIGN TO PURCHASE PORTRAIT…’ ARTICLE IN THE EASTERN DAILY PRESS.